Cowboy Adult Vest.Includes: One Cowboy Adult Vest. Available Size: One Size Fits Most Adults and Teens. *Costume and Accessories Not Included. Sold Separately. Giddy up Cowboy! Rustle up the ladies in this excellent adult cowboy vest. 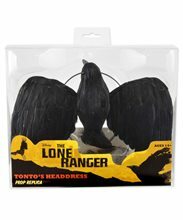 This is a great accessory for any western costume. Includes one two-tone brown vest with two front pockets. Vest buttons in the front. One size fits most adults. Mini Cowboy Hat.Includes: One Black Mini Cowboy Hat. Available Size: One Size Fits Most Adults and Teens. *Costume Not Included. Accessories Sold Separately. Mini Cowboy Hat is a Beautiful Black Hat with a star on the front. It can go perfectly with the Cowboy costume. One size fits most. 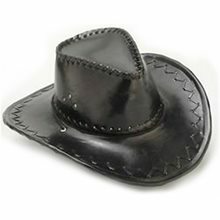 Cowboy Black Pleather,Hat cowboy pleather looks just like leather color brown one size fits most adults Mehron Ruddy Bronze.Amazing Product! Try to it. 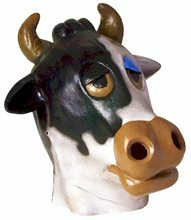 Deluxe Latex Cow Adult Mask.Includes: One Deluxe Latex Cow Adult Mask. Available Size: One Size Fits Most Adults and Teens. *Costume and Accessories Not Included. Sold Separately. 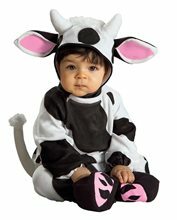 This wonderful Deluxe Latex Cow Adult Mask is an amazing lightweight full over-the-head mask. Amazing Product! Try it. Indian Lady Wig.Includes: One Indian Lady Wig.Available Size: One Size Fits Most Adults. *Costume, Headband and Accessories Not Included. 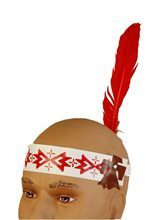 Sold Separately.Complete your indian costume with this black Indian Lady Wig. Mini Cowgirl Kit.Includes: Pink mini cowboy hat, matching bandana, badge and pink felt mustache.Size: Fits adults and kids ages 14 years and up. *Costume, Gun and Jewelry Not Included.Wee dawgy and ride 'em cowboy! This hilarious mini cowgirl kit comes complete with miniature sized hat, bandana and pink felt mustache. When caught in the crossfire at the OK Corral, you'll knock 'em dead with laughter!